The EUR/USD currency pair is moving downwards, just as we expected. The structure of this descending movement indicates that a correction may continue towards the target at 1.2666. This week the price is expected to reach a local target of this wave at the level of 1.2800. Later the pair may return to test the level of 1.2900 from below and then continue moving towards the main target at 1.2666. 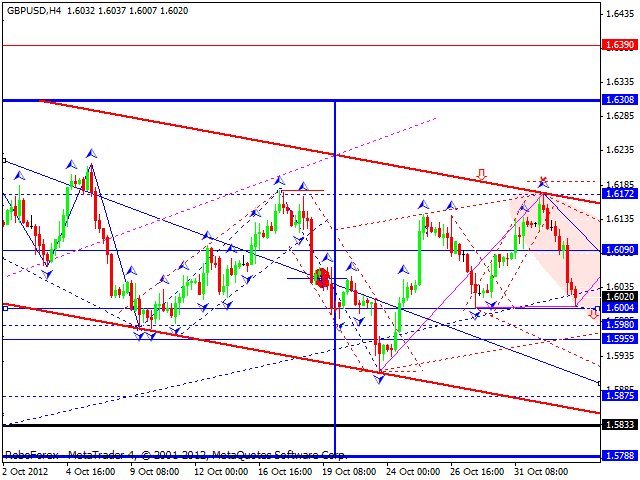 The GBP/USD currency pair completed another descending wave, which is the first part of the fifth wave. This week the price is expected to finish this first part and correct it. Thus, the market will form “head & shoulders” reversal pattern. After that the pair may form the third part of the wave. 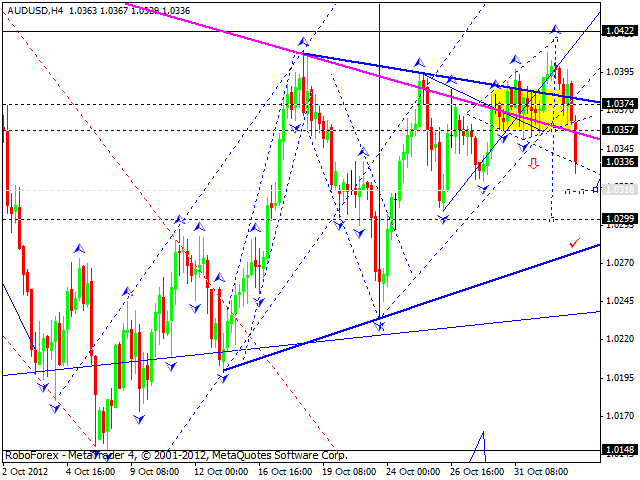 A predicted target is at 1.5875. 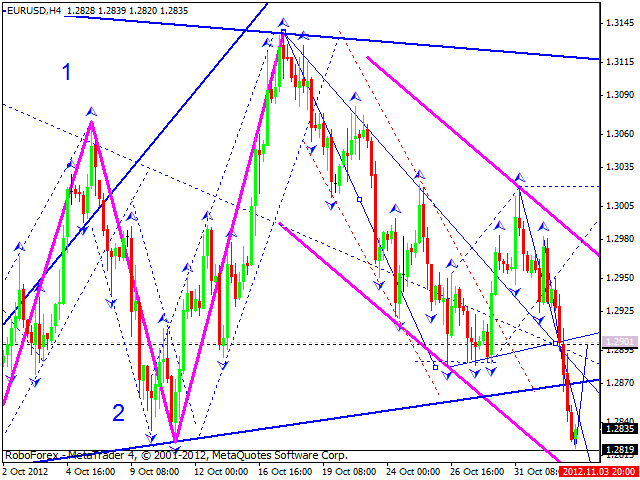 The USD/CHF currency pair continues forming another ascending wave, the third one with the target at 0.9495. This week the price is expected to reach a local target at the level of 0.9440. Later the pair may be corrected towards the target at 0.9360 and then form the fifth wave with the target at the level of 0.9495. 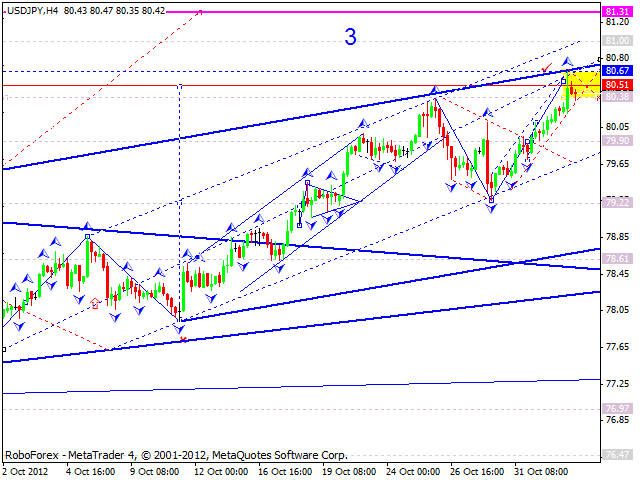 The USD/JPY currency pair is forming another ascending wave with the target at 81. 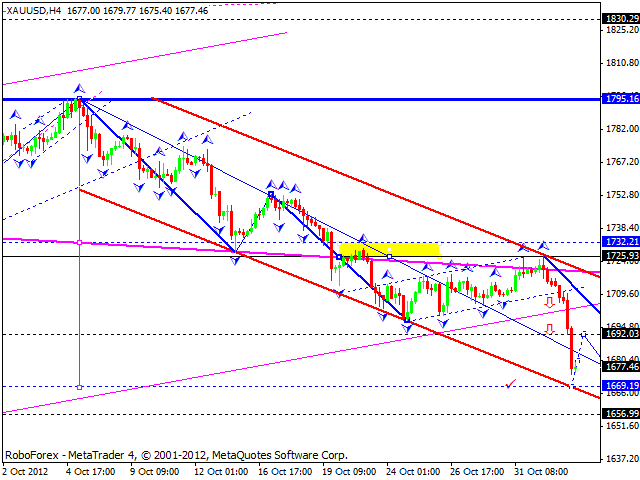 The price is expected to reach this target this week and then start a correction towards the level of 79.25. Later the pair may make a reverse and start forming the fifth ascending wave with the target at 81.30. 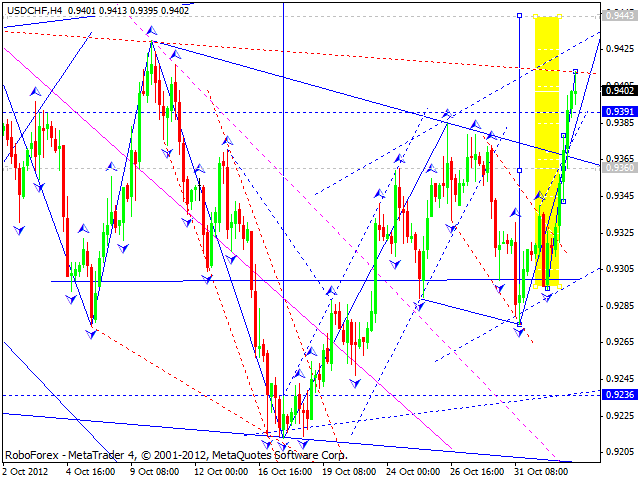 Australian Dollar couldn’t continue forming an ascending structure. We can see the first descending wave and a correction. This week the price is expected to continue falling down towards the lower border of “triangle” pattern in the area of 1.0300. The current structure implies that the pair must reach the targets at 1.0320, 1.0360, and 1.3000 in the first place and only after that growing up towards the level of 1.0450. Gold is completing a descending wave, which is the fifth one. This week the instrument is expected to reach the targets at 1670, 1695, and 1657. This may be the end of the fall and the start of another ascending wave. The first target is at the level of 1725.